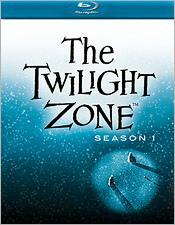 HDD Deal of the Week: 'The Twilight Zone' (Seasons 1-3) on Blu-ray 54 Percent Off at Amazon! This week's featured Blu-ray deal at Amazon takes you through the classic door of another dimension! The online retailer is now selling 'The Twilight Zone: Season 1,' 'The Twilight Zone: Season 2,' and 'The Twilight Zone: Season 3,' for $46.49 each (54% off suggested retail price). Each Blu-ray set can be purchased here and this offer will only last until May 14.